Following two years of development, SharpStream will be showcasing its new customer portal for the first time at IBC 2017 this year. ‍The initial portal release enables SharpStream customers to view stream monitoring, reporting and support data via a single dashboard. The portal also provides internal and external service notifications and incident reports. ‍The portal acts as the company's operations platform, enabling engineers to manage customer streams, infrastructure and customer support. SharpStream has an extensive roadmap for the portal. 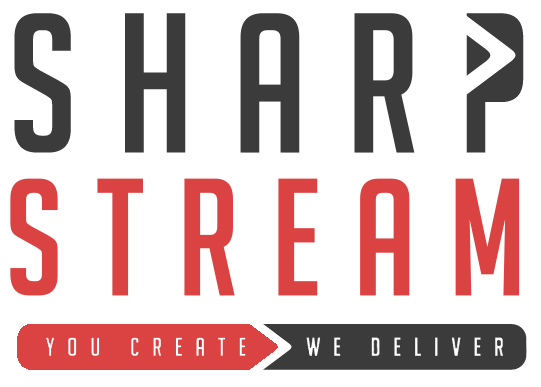 Included in the roadmap is the integration of SharpStream's suite of audio streaming tools designed to help publishers automate workflows that manage and distribute audio content to audiences across many platforms. Streaming audio through the SharpStream network, broadcasters can monetise their live and on demand audio content via our monetisation partners, Adswizz. Dane Streeter, SharpStream Managing Director said "I'm absolutely delighted to present the new portal at IBC 2017. The team have worked tirelessly over this last 24 months. Almost every software element of the delivery infrastructure was re-written to obtain the data intelligence we wanted. The portal not only gives customers the tools they need, but it also provides an excellent framework for further innovation on the development roadmap. We are all very excited to finally release our hard work to the world". ‍The portal is due to roll out to all existing SharpStream customers this fall.